Telefónica and Hutchison Whampoa confirm that they have entered 'an exclusive agreement' for the purchase of the UK's second largest network. O2’s CEO, Ronan Dunne, has a fair amount of egg on his face following the news that Hutchison Whampoa has entered into an ‘exclusive agreement’ to buy the network. When quizzed by journalists late last year, the O2 boss said that the chances of Hutchison Whampoa - owner of Three – buying his network were virtually non-existent. 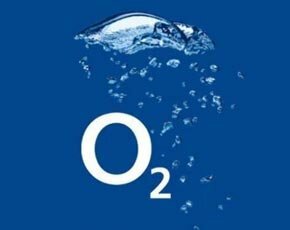 “At the back end of last year some analysts told me that their main prediction for this year was that Three will buy O2. All I would say is I slept very soundly that night,” Dunne joked. The O2 chief will no doubt be kicking himself as today it emerged that discussions are moving forward for a £10.25bn cash deal. O2’s parent company, Telefónica, confirmed rumours that started last week, stating that the agreement would be for £9.25bn on completion and a further £1bn to be deferred. No further details were provided on the criteria for the release of the deferred payment. Telefónica has been consolidating its operations in developed markets and focusing instead on its emerging portfolio. Should O2 and Three merge, they will become the UK’s largest network; a fact which will no doubt raise some concerns amongst the regulators. With 40% of the market and a massive chunk of the 4G spectrum, it could well be that Ofcom will demand a redistribution of resources.